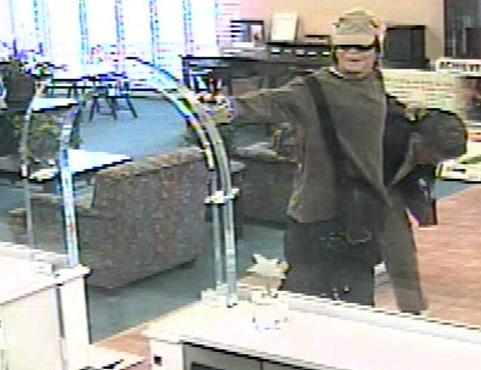 Police are looking for a man who tried to rob the PNC Bank at 399 Forest Hill Blvd this morning around 10:30AM. Witnesses told WPTV that the suspect who was wearing a Halloween mask took a customer hostage. The suspect brought the hostage into the bank and threatened to shoot customers inside the bank if he did not get enough money. The witnesses say that the robber fled after a dye pack in the money he was given went off. The robber is 5’9″ to 5’11” tall, with a thin to medium build; he appeared to be white or Hispanic authorities said. Police are offering a $25,000 reward! Anyone with information about this crime can call Crime Stoppers at 800-458-TIPS stay anonymous and be eligible for up to $1,000 REWARD!